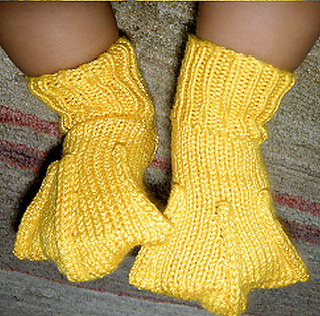 My Duck Feet are knit in the round with DP needles and cotton yarn. 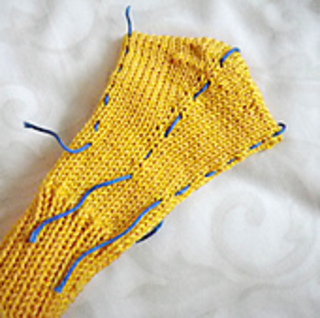 The socks have a simple heel and then spread out into three toes. 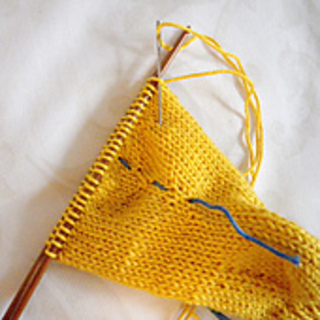 The center toe is shaped at the tip with a couple of short rows. Then the top and bottom are grafted together. 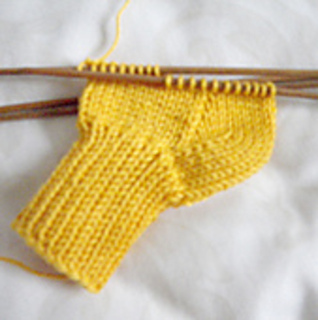 After knitting the shape, the toes are defined with applied I-cord.